White House Press Secretary Sean Spicer has rattled the cannabis industry after saying he anticipates the Department of Justice to ramp up enforcement of federal statutes that outlaw recreational marijuana – even in states where it is legal, including California. A total of eight states plus the District of Columbia have legalized recreational use of marijuana among adults. What this means is currently 1 in 5 Americans adults can lawfully smoke, drink, eat or vape cannabis under state laws. More than half the population lives in a state where the drug is legal for medicinal purposes. This has given rise to a $6 billion industry that is projected to grow to $50 billion by 2026. But all of that could be in jeopardy. Many in the marijuana industry have expressed surprise at this about-face, especially given that the Trump administration has seemingly prioritized states’ rights on a myriad of other issues, from education to use of bathrooms by people who are transgender. The statement by Spicer was also surprising given the fact that U.S. Attorney General Jeff Sessions is a major proponent of states’ rights. However, Sessions has also for many years vehemently opposed cannabis use. During his confirmation hearing in January, Sessions refused to say he wouldn’t enforce federal law on the issue, and further indicated that if Congressional leaders believed the drug should no longer be illegal, they should pass a law. 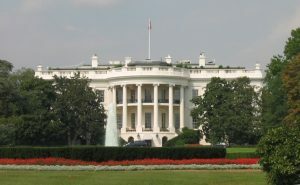 Spicer’s comments had an almost immediate effect on the market, with the Global Cannabis Index falling by nearly 4 percent right after the White House briefing in which he made the comments. To reinstate a policy of federal crackdowns on the marijuana industry would be a stark reversal to the current federal policy enacted by the Obama administration – and it would be staunchly against public opinion. After years of federal raids, civil forfeiture and investigation, the Obama administration agreed to mostly defer to states on the issue, choosing instead to focus the energy of federal prosecutors on targeting distribution of the drug to underage users, sales across state lines and gang activity. Recent polls show the vast majority of Americans believe the federal government shouldn’t enforce existing marijuana laws in states where the drug has been legalized for recreational or medicinal use. It should be noted that Republicans as a whole oppose widespread legalization, though most do still support medicinal access. If the Trump administration does move ahead as Spicer has indicated, that would indicate a clear contradiction of the administration’s clear positions not just on states’ rights but also on the creation of jobs and betterment of the economy. It’s estimated the cannabis industry – if allowed to continue the status quo – would generate some 283,000 within three years – many of those in California. Still, there are some in the industry who aren’t worrying just yet. Top Republican leaders in states like Colorado and Washington who have met with Sessions say the take-away they got from those conversations was there would be no drastic alteration to the current federal policy on medical marijuana and recreational marijuana. Given that these statements are coming from the highest executive office, they shouldn’t be totally overlooked. Those who own or are looking to start a cannabis business should consult an experienced marijuana attorney for advice on how to protect your investment.